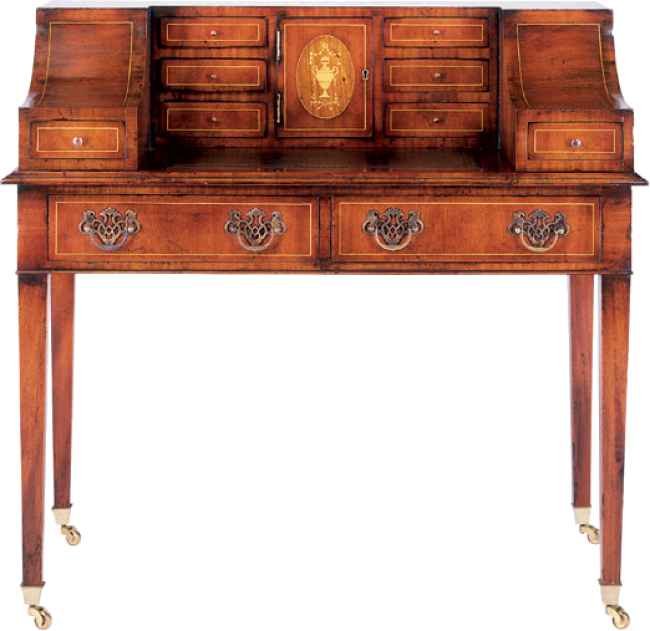 Sheraton style Carlton House desk with decorative inlays. Eight small drawers and two large drawers. Solid antiqued brass hardware. Tapered legs terminating in solid brass casters. Pictured in Mahogany.